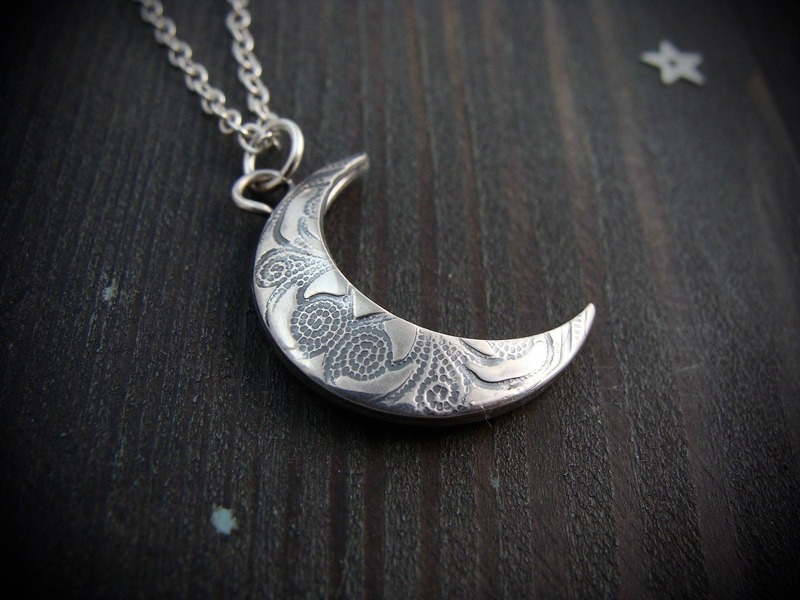 This two sided crescent moon pendant is made from sterling silver. One side has a swirling pattern, the other is smooth. 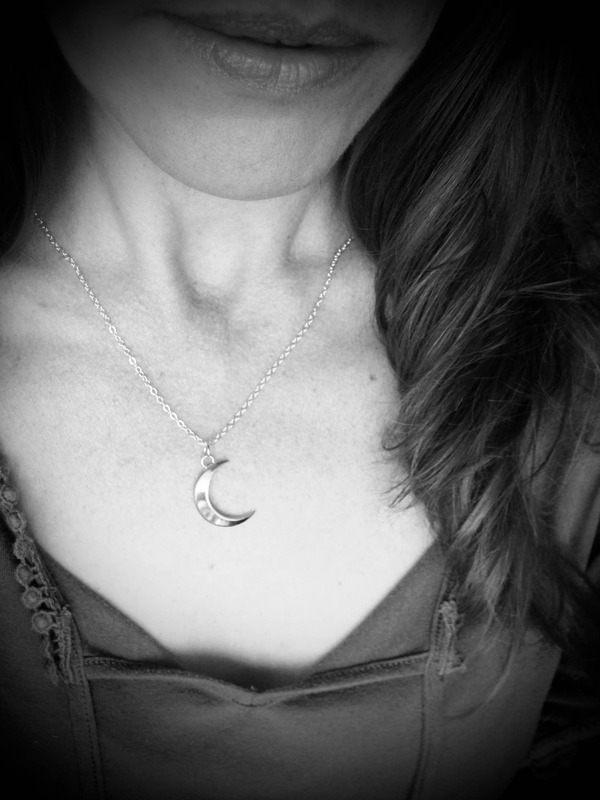 Each side of the pendant has been lightly domed to give depth.. Change them around to fit your moods. 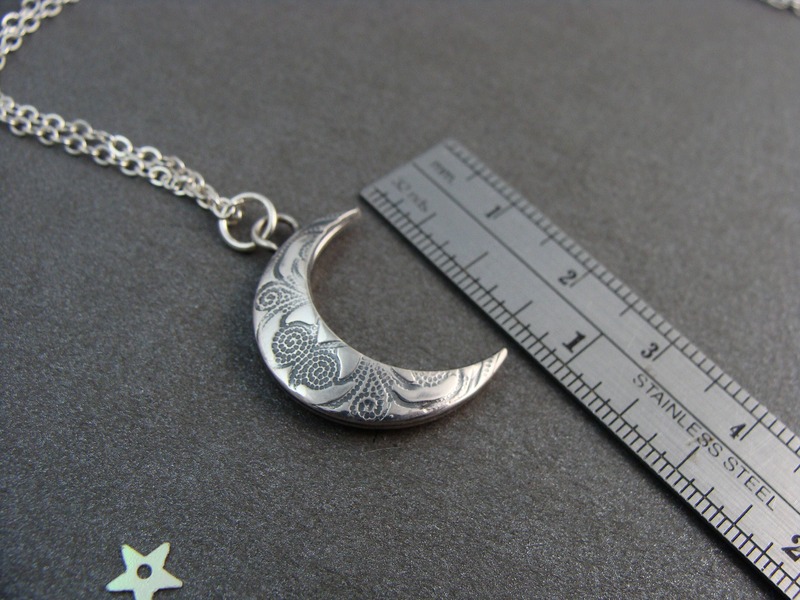 Pendant hangs approximately 1 1/4"
Modeled on an 18" chain. 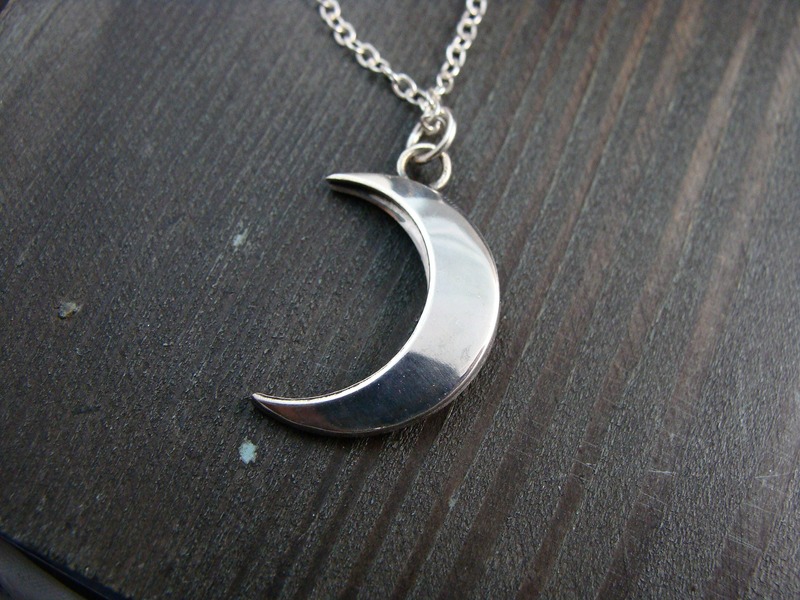 Gorgeous moon necklace <3 Perfect in every way! 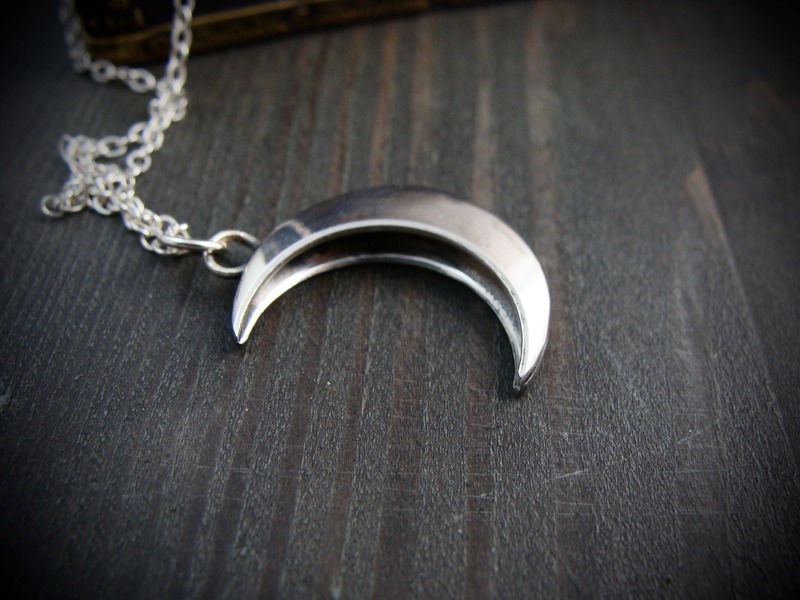 Fast shipping, carefully packaged and ready to wear. Very happy :-) Many many thanks for the craftmanship and wonderful service. This was even better in person. Perfect size and weight. The seller was GREAT! Communicated all through the process!